Update 2 – March 12, 2019: Dissenter has added a trending section which shows trending URLs and comments across Dissenter and on any website. Update 1 – February 26, 2019: Dissenter is now out of beta and open to all users. 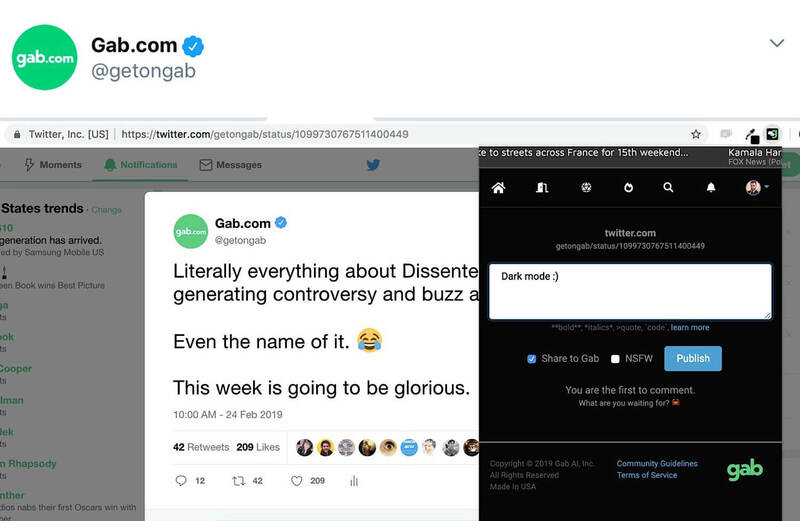 Original Article: Gab, the social network that defends free speech online, has just launched Dissenter – a game-changing browser extension and web app that’s going to create a comments section for the internet which can’t be censored. Dissenter can create a Gab-based comments feed for any page on the internet. Since these comment feeds are hosted by Gab, they can’t be removed, edited, or hidden by the individual website owners. This means you can comment freely and enjoy the full protection of the First Amendment of the United States Constitution. 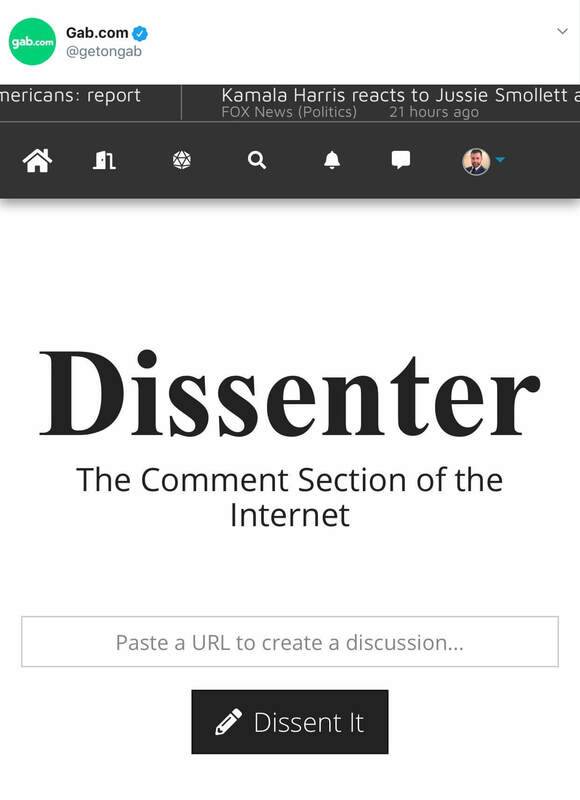 Dissenter is in beta right now and it can be accessed via a browser extension or a web app. The browser extension is currently available for Chrome, Brave, Firefox, Safari, Opera, Chromium, and Edge. 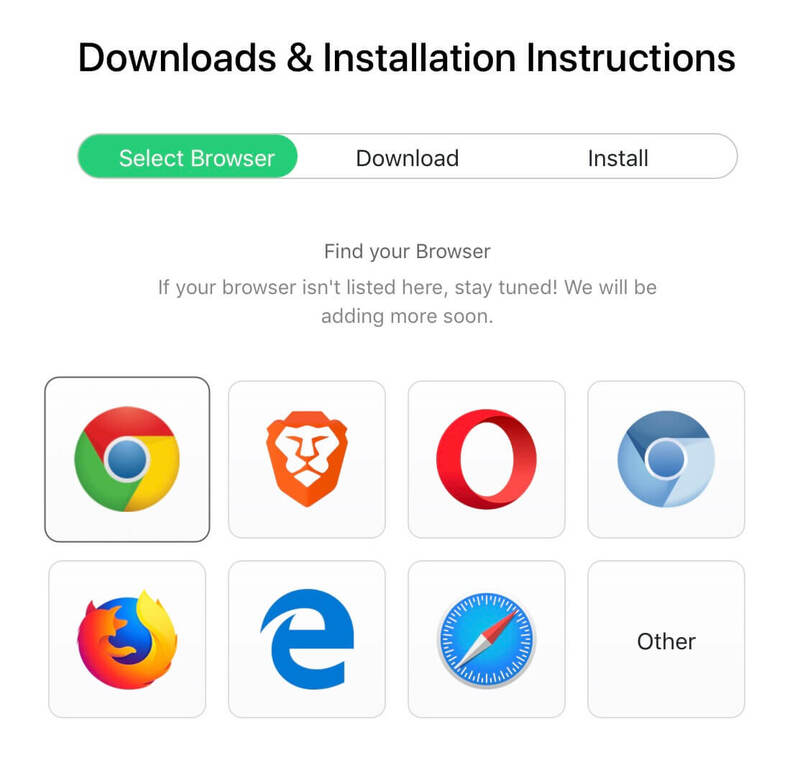 The web app can be accessed through any browser. 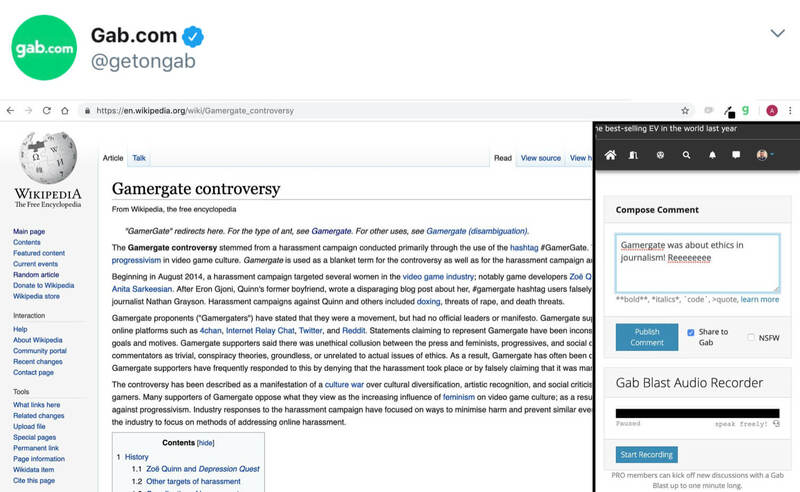 If you want to request other browser extensions, you can do that by using #GabDissent on Gab. To create a comments section for any web page, you simply click the Dissenter browser extension while you’re on that page. If you’re using the web app, you can paste the URL into the web app to create a comments section. Both the browser extension and the web app can also be used in the same way to find, view, and comment on existing comment threads on any web page. 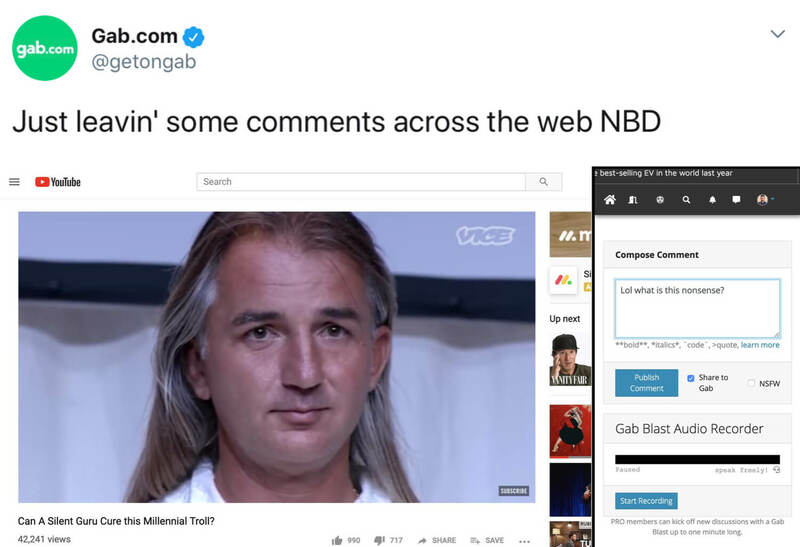 The Dissenter browser extension and web app integrate directly with the Gab website to create a single unified comments section for each web page. This means if you comment on a link from the Gab website, people using the browser extension and web app will see your comments. 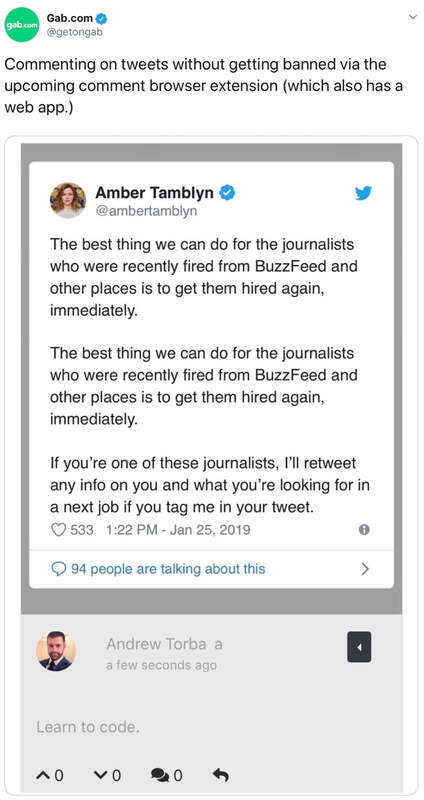 If you comment on web pages through the browser extension or web app, people will be able to see those comments on Gab whenever links to those pages are shared. Another cool thing about Dissenter is that it supports both text and audio comments. So, if you prefer to speak rather than type, Dissenter’s got you covered. 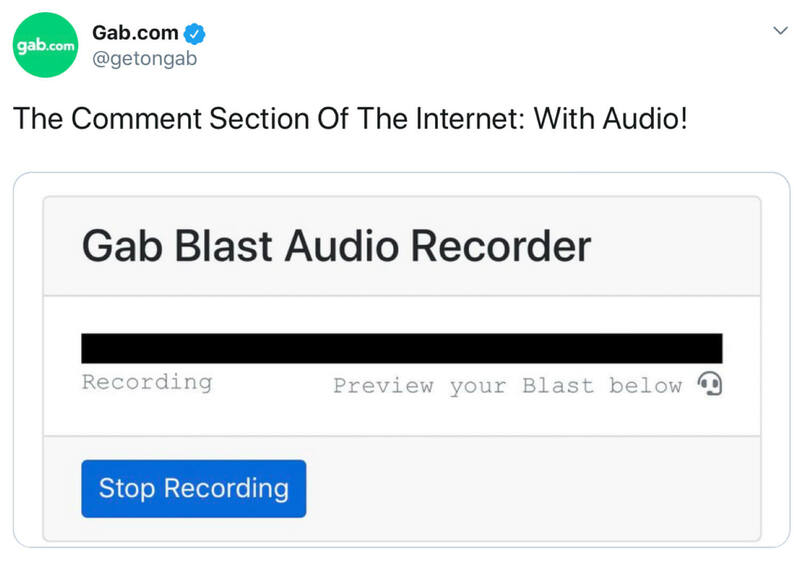 With the Gab Blast Audio Recorder, you can record audio comments that are up to one minute long. Dissenter also has a dark mode which can be enabled at any time. One of the other awesome Dissenter features is the “Top Discussions” section on the homepage which showcases the top comments and conversations that are happening on Dissenter right now. The battle for free speech online is really heating up. Twitter is banning users for stating facts, Wikipedia is dictating what can be linked to, and YouTube is now using its comments system to demonetize creators. Dissenter is the perfect tool for countering this censorship and exercising your right to speak freely online. Dissenter is currently in closed beta testing with Gab Pro customers but will be opening up to everyone later this week. You can download Dissenter here. Wikipedia pages are often locked down by Wikipedia admins who want to push a specific narrative and stop the information on the page being edited and updated by the community. With Dissenter, you can break through the Wikipedia admins’ censorship and add new information to any Wikipedia page. Many brands and YouTube creators turn off comments or even delete comments when they start to receive criticism on their videos. You can use Gab Share to override the YouTube comments system and give your thoughts on any YouTube video. If you’ve been blocked on Twitter or your comments keep getting deleted, you can use Dissenter to break through this censorship and make your voice heard. The Dissenter extension is the perfect tool for correcting the fake news media and holding them accountable. 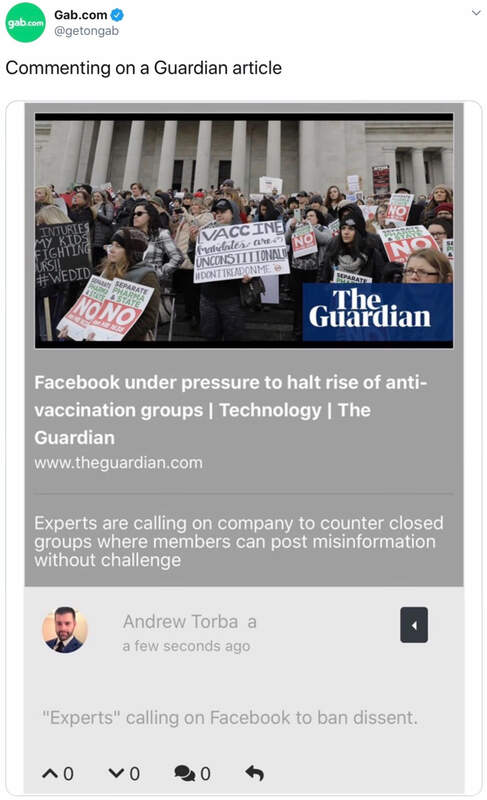 You can download Dissenter here and use it to start taking back online comments sections from the big tech and mainstream media gatekeepers.